What are retinoids? Retinoids are an umbrella term for the many different types of vitamin A derivatives used in restoring the skin.Being as they all have the same base ingredient (Vitamin A), they all have similar functions in varying intensities. We, at Lea Advanced Skincare, use2 types of retinoids, retinoic acid and retinols for skin treatments in the salon. 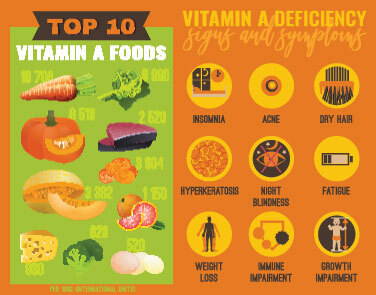 Questioning what do all of these vitamin A derivatives even do? Well, retinoids are super important in cell growth as well as cellular renewal. Using vitamin A products will help regenerate and increase collagen production meaning it will help maintain smooth, firm, skin. There is a difference between retinols and retinoic acid however. Retinoic acid is many times stronger, and can yield some less than comfortable reactions. The upside being retinoic acid can transform your skin a lot faster due to the intense exfoliation from the solution thereby encouraging collagen to regenerate in order to repair the skin.It also reduces the appearance of some wrinkles as well as help fade stubborn acne scars. Inside of our skin, we have retinoid receptors that drink up the vitamin A which is what makes our skin so compatible with retinoid products. To put it simply, we have receptors inside of our cell nuclei with which retinoic acid bind. Once bound, these receptors activate a specific DNA sequence which has the ability to modify how one cell becomes specialized into another. Finally, the cells that produce keratin and the cells that secrete proteins, like collagen, metabolize it. 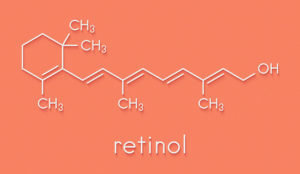 With retinol, our skin has to take the time to break down the molecules to become retinoic acid; because of this delayed reaction, retinol does not have as harsh of side effects but it may take months of consistent use to see results. Retinol’s slow process is actually what helps mitigate some of the discomfort that is accompanied when using retinoid products. As with all things, there can be side effects to using retinoids. 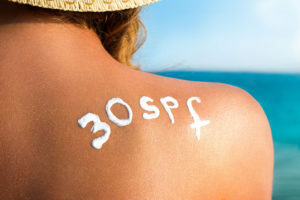 It can cause one to become more photosensitive which means more susceptible to sun burns, sun damage, and hyper pigmentation. Due to these reasons, whether or not one is usually sensitive to the sun, wearing sun block is a must!! We cannot stress this enough: beginning the usage of any retinoid products, it is imperative to make SPF a new best friend! The more potent the product is to restructure the cellular structure, the more hypersensitive one will become to not only the sun but cold weather and other environmental factors as well. Sun block isn’t the only way to help the skin. When applying retinoids we recommend applying it at night. 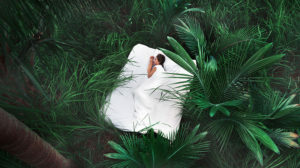 The reason being is that during sleep the skin works its hardest to repair itself. Actually, skin cells renew themselves 30 times faster at night than they do during the day! That is an exponential difference. What a dynamic duo pairing together a powerful cell renewing agent with the body’s natural healing process! These are just a few ideas on how to work with retinoid products. Like to learn more? Come into Lea Advanced Skincare in Beverly Hills and she will walk through the different skincare treatments best suited to achieve optimal effects on your skin!